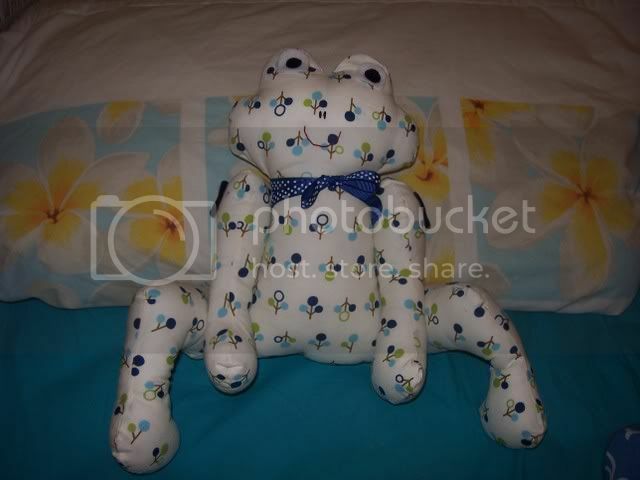 ♥ i heart craft ♥: Another froggy goes to a good home! Another froggy goes to a good home! THANK YOU so much for our handmade Froggy! He is absolutely beautiful! I am so impressed that even though he is handmade he is perfect in every single way! The attention to detail is amazing. I know this is one gorgeous frog that William will treasure for many years to come!!! Thank you again!